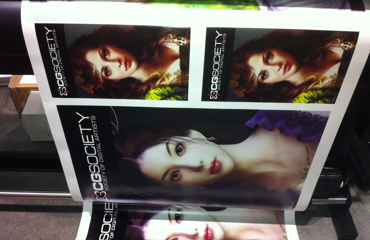 The majority of imported vinyl banner media is screen grade. Screen grade vinyl media is described as having a soft hand (limp and flexible). This soft hand isn’t designed for roll-to-roll digital inkjet printers and the result is tracking issues, wrinkling, and head strikes from poor feeding of the banner material into the printer. With high temperature the vinyl media becomes even softer, magnifying these issues. The solution is to source a stiffer hand vinyl banner media specifically designed for roll-to-roll digital inkjet printers. In other words, digital grade vinyl banner media. Digital grade vinyl banner media is designed for digital inkjet roll-to-roll printers, but will also work for screen printing. It is designed with a firmer hand which makes the material stiffer eliminating tracking/feeding issues. 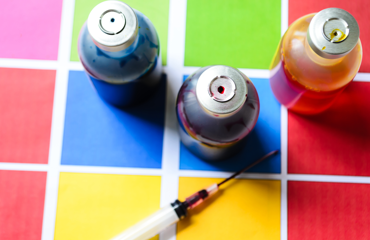 Dot gain refers to the spread of the ink once it is applied to the surface of the banner media in the printing process. Dot gain was needed for screen printing banners to ensure ink coverage but is not desirable with inkjet printing where less dot gain is best. Microtexture is a textured surface effect to prevent dot gain and increase resolution. By manufacturing Bantex with a microtexture finish, the dot gain can be reduced and the resolution increased by up to 10% compared to most competitive banner media that is manufactured with a very smooth surface. Different use applications require different sign widths and there are a significant number of printers on the market to accommodate that reality. This means whatever vinyl banner material is used must come in a broad variety of widths and work with a huge range of printers, or else it won’t be very useful. Once we manufacture our rolls, we make those in thousand yard rolls, and then convert those rolls down to usable widths and lengths. The key is that our rolls can get cut down to fit the different printers. 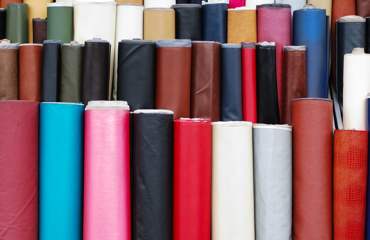 Unlike other manufacturers, we fit the standard sizes such as the 25 yard and 50 yard rolls, in addition to other sizes such as 54 inches wide, 60 inches wide, 72 inches wide. Additionally, some products are also available in 75 and 80 inch widths. 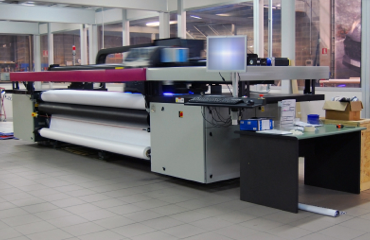 We produce sizes for every large format printer on the market. We also cut to special widths at no extra charge. Longer length rolls are also available. 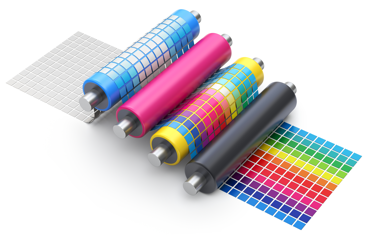 With the different ink types available today including solvent, eco-solvent, UV Curable, and latex, in addition to many different inkjet printers offered by a variety of printer manufacturers, it can be challenging to have ink and banner media compatibility. Bantex is engineered to print with all solvent, eco-solvent, UV Curable, and latex inkjet printers. Free sample rolls are available for testing at any time with free standard shipping to verify this. 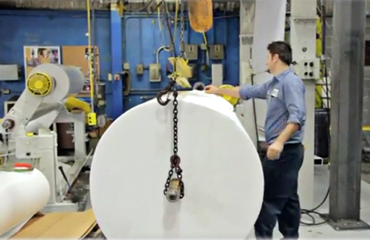 As Latex inks require high heat to cure properly, HP Certification is critical to ensure a proper media is used. Certification for double sided printing also ensures success with the proper banner media when printing on both sides of a banner on the HP Latex printers. A vinyl banner material can be flawless, but if it arrives damaged in the box or contains splices of some sort, then it doesn’t matter all that much. Defect free media packaged in boxes largely eradicates the possibility of harm being done to the material in transit. By using highly effective defect free media, packaged in boxes that accommodate a wide range of sizes, Bantex is not only able to minimize damages, but also keep contaminants such as dust or dirt from interfering with the printing process. All Bantex vinyl banner materials are encased and delivered in these boxes at no extra charge. Two simple words: Speed and reliability. Because Bantex is manufactured in the United States, it is available much faster than the other vinyl banner fabrics made abroad. Additionally, it’s significantly more reliable due to the lack of potential complications associated with sometimes loose foreign manufacturing standards and shipping challenges. As an American manufacturer, the Bantex brand is not only held to the highest standards in terms of the product it delivers, but is also proud to be a source of top quality domestic manufacturing jobs and to have an incredible staff of American workers. Sometimes a project doesn’t go exactly as expected and delays occur with the banner printing timeline. Other times, a potential deal maybe takes longer to come through than anticipated, and it becomes necessary to hold off on banner printing. If the vinyl banner material shelf life is too limited, then it can become a total loss in the aforementioned scenarios. 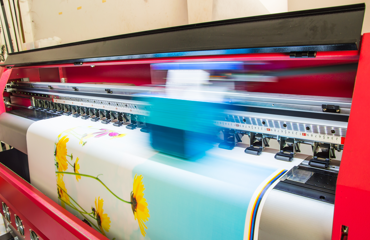 Over time the plasticizers added to vinyl banner material tend to migrate away from the compound and when that happens, it can create a layer on the surface of the material that makes it a challenge to print. Due to its high quality manufacturing process, Bantex is able to give a six month print/shelf life guarantee. 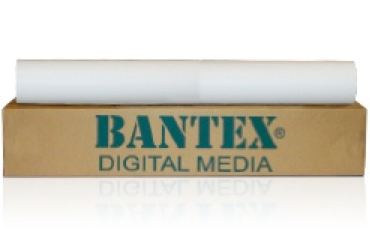 Interested in using Bantex for your graphics media needs?